In this digital age, with the ever so evolving business standards and practices, it’s common to rely on more than one softwares/applications. But it’s important that these two (or more) applications perfectly synchronizes or communicates with each other. In order to achieve such faster communication, Pabbly Subscriptions offer API and Webhooks. But API and Webhooks are different in operations. For instance, in simple terms, API will perform the required task when you ask it to do. While Webhooks will perform the same task when certain events happen or certain criteria/situations are met. Not only Webhooks performs the tasks automatically, but it also saves a lot of manual efforts while being super easy to create & use. Webhook is an HTTP callback or simple “event-notification” via HTTP POST. In other words, Webhooks makes communication between two applications (Pabbly Subscriptions + other integrated application) easy by sending “event-notifications” via HTTP POST. 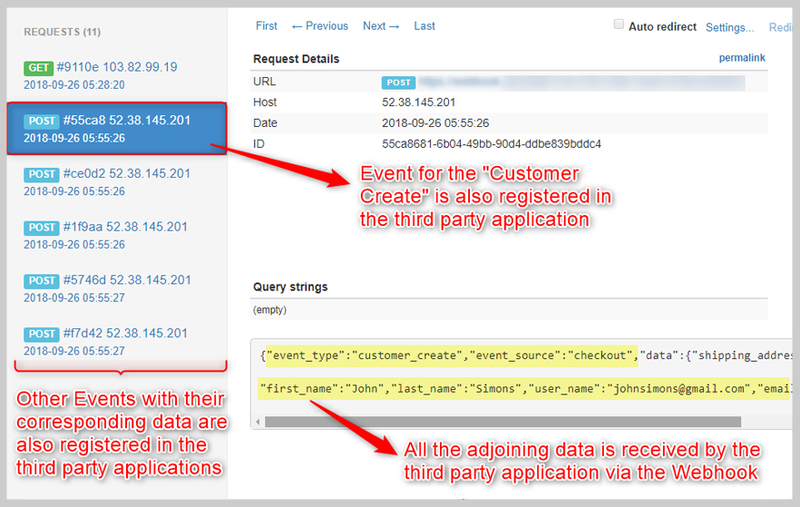 It simply sends a message (which includes all the valuable data) via a URL to the third party application when an “event” occurs. This URL is generally provided by the 3rd party application. You can select certain events/situations in Pabbly Subscriptions which will enable the Webhook to communicate with the integrated 3rd party software. What Is An Event In Pabbly Subscriptions? An event is an activity that happens in your Pabbly Subscriptions account. This involves changes in Customers, Plans, Subscriptions, Transactions etc. 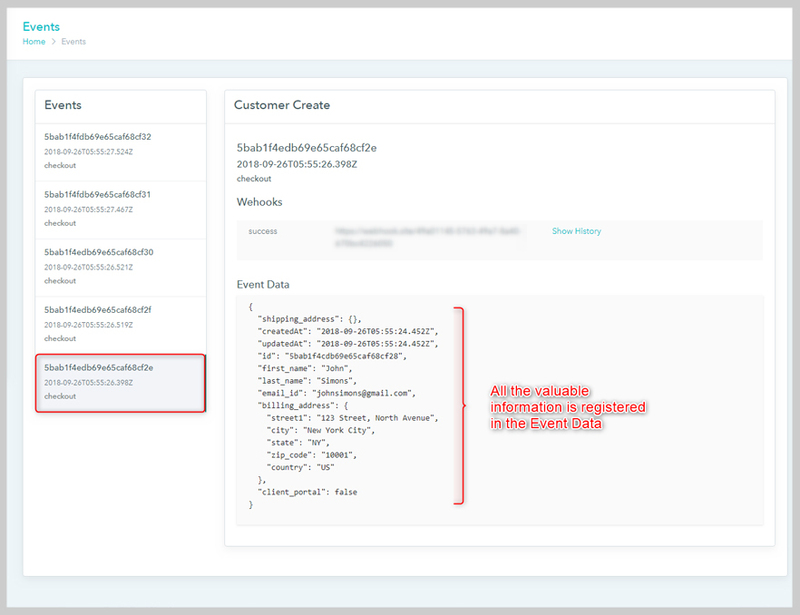 Every event is registered in the “Events” section in your Pabbly Subscriptions account and the “Event Data” is transmitted to the third party software in the form of JSON. You can also download the sample PHP code to configure the Webhook. Customer Create – When a customer is created. Customer Delete – When a customer is deleted. Subscription Create – When a subscription is created. Subscription Activate – When a subscription is activated. Subscription Upgrade – When a subscription is upgraded. Subscription Renew – When a subscription is renewed. Subscription Downgrade – When a subscription is downgraded. 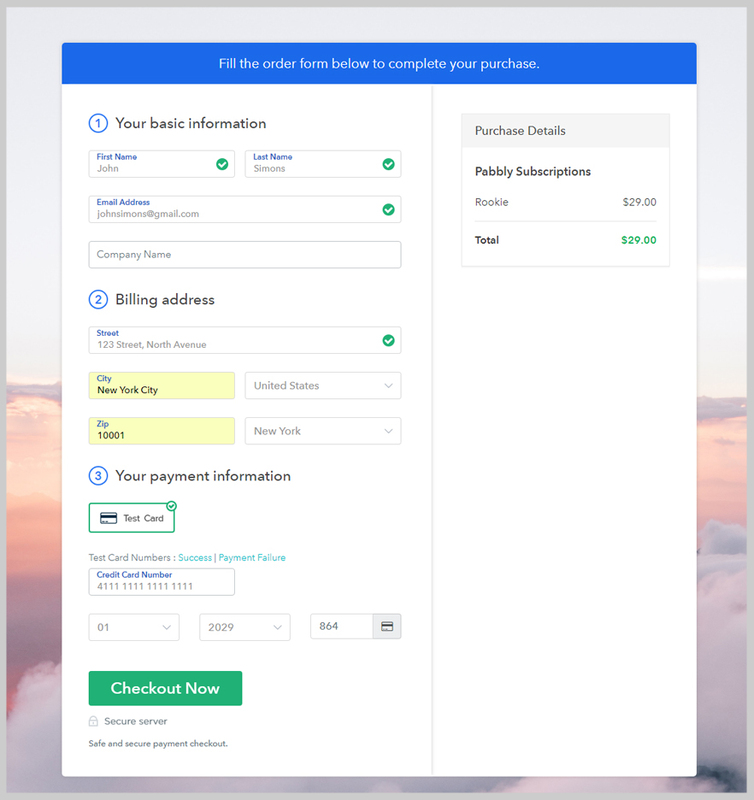 Subscription Cancel – When a subscription is canceled. Subscription Expire – When a subscription is expired. Subscription Delete – When a subscription is deleted. Subscription Cancel Scheduled – When a subscription cancellation is scheduled for the end of the current billing cycle. Successful Payments – When a payment is received. Payment Failure – When there is an error in processing payments at the time of purchase. Payment Refund – When a customer asks for a refund. Create Invoice – When an invoice is created. Pending Invoice – When an invoice is in pending state as the recurring subscription fee not received. While these are the available Webhooks that Pabbly Subscriptions support, a lot more are in the development phase. Why Should You Use Webhooks? If you want your two (or more) applications to run hand-in-hand with each other then you should use Webhooks. Webhooks are extremely easy to use, flexible and customizable. Meaning, a single webhook can be used either for a single event or for a bunch of events. Also, since Webhooks sends real-time notifications and automatically synchronizes with the integrated 3rd party software, it saves a lot of manual efforts. Suppose you are a businessman and constantly acquiring new customers, you need an Email Marketing Application to run your marketing campaigns. Now, you have an option to manually add customer details – name and email address to the email marketing software once the customer purchases your product/service via Pabbly Subscriptions. The other, far more convenient way is to use the Webhooks. Once you integrate the third party email marketing application with Pabbly Subscriptions, the Webhook will automatically transmit and save all the required data to the application, hence saving you from performing it manually. How To Create A Webhook In Pabbly Subscriptions? As told earlier, Webhook is extremely easy to use and so is it’s creation. 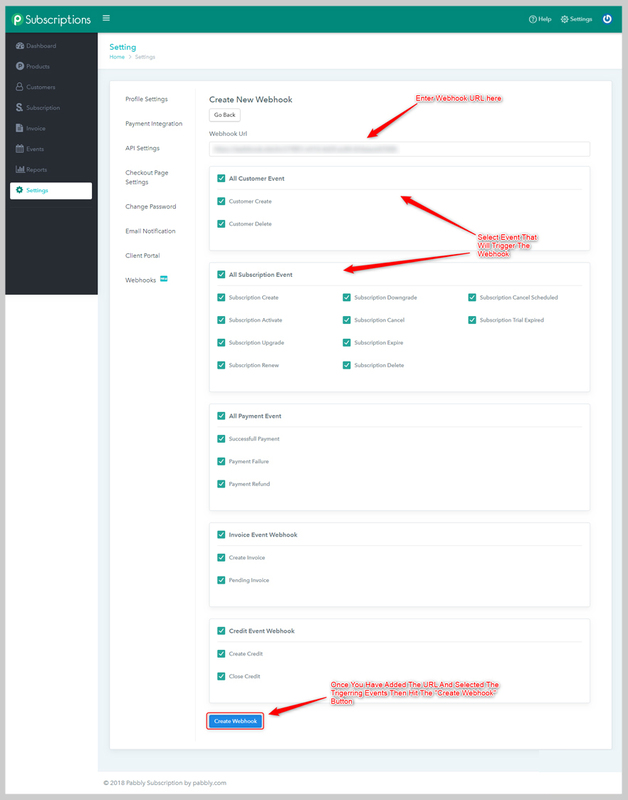 Step 2 – As soon as you open the Webhooks tab, click on “Create Webhook” button. You have to enter the Webhook URL provided by the third party application in the provided input field. Select all the relevant Events which will trigger the corresponding Webhook. Once you have completed this step, you have to click on the “Create Webhook” button available at the bottom of the page. You can, of course, edit and delete the saved Webhook later. That’s it. You only have to perform these tasks and rest will be handled by the Pabbly Subscriptions Webhooks. Sign In here and create your own Webhook or if you need any assistance, reach out to us at “admin@pabbly.com”.